Our school governors are top of the class. We have 20 years of recruitment experience in matching high calibre volunteers with schools across England, including academies, free schools and nurseries. Our free governor recruitment service provides schools with access to a wide talent pool of skilled volunteers from big name organisations. With their professional experience and expertise they can help bridge the skills gap on your governing board. Have a governor vacancy to fill? We provide you with a free service that is tailored to your needs. Our vacancy form allows you to specify exactly the skill set you are seeking and we introduce you to candidates that match your requirements. We broker the relationship with potential governors on your behalf saving you valuable time and ensuring that volunteers are prepared for the role. Our dedicated team and robust processes mean that we keep working to fill your governor vacancy at all times. Our volunteers are keen to give back, passionate about ensuring children across England have access to the best possible education and committed to making a difference, working alongside senior school leaders. Our volunteers come with various skill sets, professional experience and business know-how that prove invaluable to ensuring effective governance across your school, driving educational standards so children can reach their full potential. Looking to fill a governor vacancy on your board? Complete our simple online form. Find out more by reading through our frequently asked questions. High quality e-learning provision, with a suite of four free modules that are essential training for any governor in their first year. Regularly scheduled Business Governor Network sessions providing governors with an opportunity to hear from experts and network with peers. 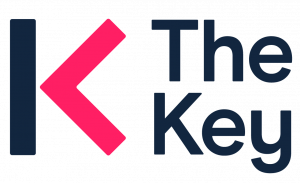 Six months’ free membership of The Key for School Governors for you and your fellow governors. The Key is the trusted online information service that provides practical guidance and resources to help you to perform your role effectively.